You have to play a game before you can review it. I have a great deal of experience with some kinds of games, but I will not “review” a game I have not played. 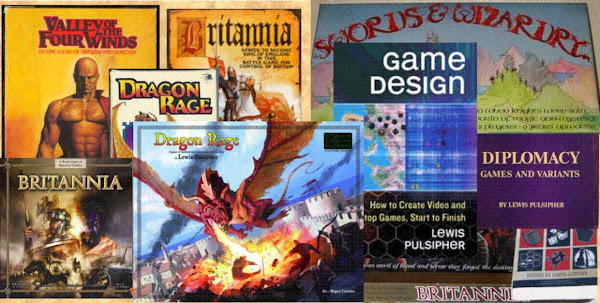 Some years ago I gave my impressions of a Britannia-like game that I owned, but as I had not played it, I was careful to say it was not a review, it was more about design, because I wasn’t familiar with the details of the gameplay itself. In the end, it’s the gameplay that counts. Always keep your audience in mind when you write anything. Your audience for a review is not yourself: usually it’s someone who enjoys playing games but is not a hard-core gamer. (Does that describe you? Probably not.) This is, of course, the bulk of the gaming market. The objective of any review is simple. It should let the reader know whether he or she would like to read the book, see the movie, listen to the music, buy (or only rent) the game, and so forth. The review doesn’t exist to make the reviewer look good, or to advance the reviewer’s agenda. • How well did he or she or they do it? You've read or heard movie reviews that concentrate on the first point (the reviewer may recapitulate the entire plot), on the second point (ooh-ing and ah-ing about how good the direction or technical effects were--or how bad), or on the third point ("what a dumb idea" or "socially relevant!"). Which point(s) require the most detailed treatment is a decision the reviewer must make according to the nature of the work being reviewed. The most common mistake a reviewer makes is to try to recapitulate the entire contents/characteristics of the game in a short time. Don't. Listings of this kind are rarely interesting. It's not only hard to do, it's often boring, and it might annoy the person reading the review if you “give things away”. The second most common mistake (amongst students), is to be very explicit and “compartmental” about these three questions. Don’t list a question, then answer it, then list the next question, then answer it. The idea is to answer the questions in the course of a discussion without drawing attention to the fact that you are answering these questions. When you read or hear a good movie review, the questions are usually answered, but you’re not explicitly aware of it as you read or listen, are you? Reviews are essays, writing with a purpose, and as essays they need to be enjoyable reading. Title, author/developer, publisher, date of publication. Background of the developer (and publisher). What are the Best & Worst points of the game? After I revised the above I discovered that I’d written a piece about reviewing specifically for gamers, published in The Space Gamer #45 in the early 80s (“Notes for Reviewers”). It’s longer and more specific than this. It will be in my books of reprints of my articles of yesteryear, sooner or later; or you can dig up that issue somewhere. What's your timetable for your reprints of articles from yesteryear? Timetables and I don't mix well . . . By the end of the year for the first one, not so long afterward for the second. (Two is likely, three is possible.) There will be some unpublished material in each book as well.